T.N.T. has put together a wide variety of factory mint-in-bag figures made in India. We have pictures to show you exactly how these are packaged. Some figures even have variations to the normal carded figures! Here is how the "Create Your Own 3-Pack" works. The figures below are broken down into 3 sections. Please pick 1 figure from each section to create your 3-Pack. ...Cobra Army Builder : Night Viper, Hydro-Viper, and T.A.R.G.A.T. 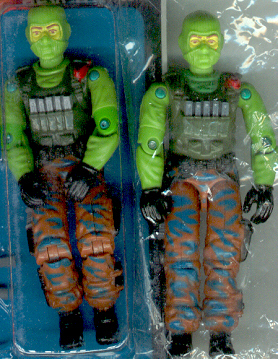 ...Collector looking for cool and wild variations: Brawler, Tunnel Rat, T.A.R.G.A.T. Big Brawler: The newest figure to be released. Most India figures develop variations over time like Ripper has. Be sure to get the very first version of this India exclusive. Night Viper: The classic colored night trooper perfect for building your Cobra army. Flint: Out of Production, & Unique Construction! This bagged variation comes with Blocker's upper arms which are different from the carded version. Ripper: The latest and maybe last color variation. Shirt and pants differ a shade from the carded version. Beach Head: Out of production! The latest and possible last variation. Camo, undershirt and elbow rivets have color shade variations to the carded version. 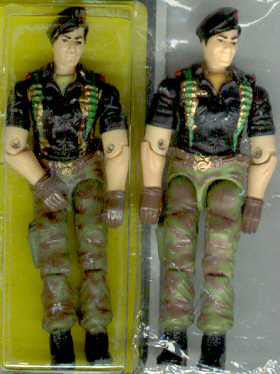 Tunnel Rat: He has an exclusive painted outfit and comes with the trademark face paint. Wild Weasel / "Rattler-Viper? ": There's only one Wild Weasel, but he needs a Viper flight crew. Exclusive arm construction & color variations. Road Block: Virtually no color variations to the '92 American release design. Finally a Roadblock mold with some muscle! 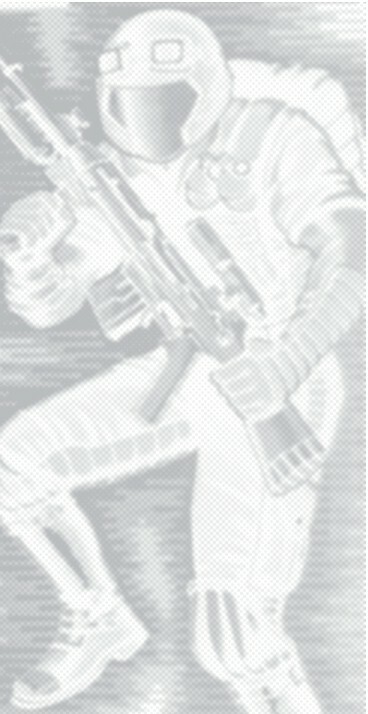 Zarana: One of the few female figures released. Exclusive color shade variations. Hydro-Viper: Also known as "Deep Demon". This troop looks very close to his American counterpart. Storm Shadow: Virtually no variations, but his arm bars on his Tattoo are in reverse order. Muskrat: Another solid figure that is painted virtually identical to the American release. Tracker: Exclusive Black hair and outfit makes him look like a totally new character! "Night Force" Spearhead: Makes a great substitute for the expensive American version. Zartan: It's one of the oldest molds still in use. Has has cool variant eyes. Major Bludd: This Bludd figure is modeled after the 2000/01 American release. T.A.R.G.A.T. : He has cool bronze outfit that is exclusive to India. Buzzer: Looks close to the original, with some minor color variations. 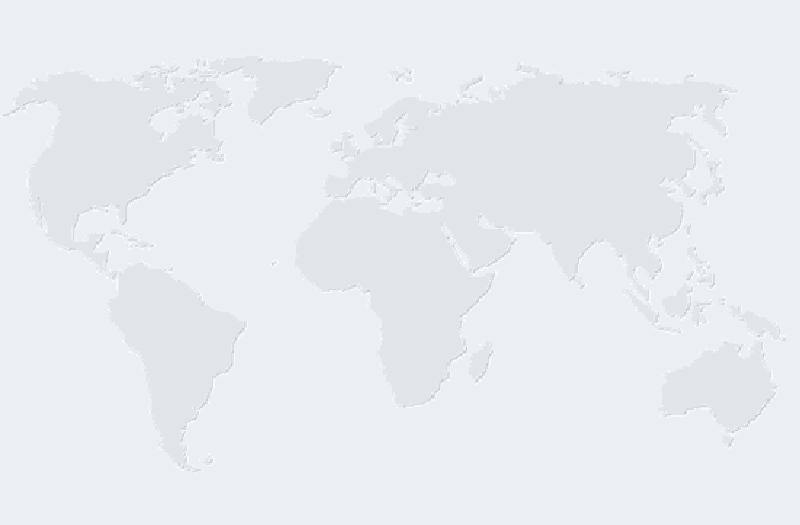 SHIPPING: Fixed Price Shipping to Anywhere in the US. 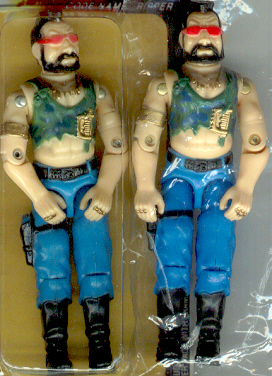 Got any Old Funskool or Nilco Joes ? Contact us, we're paying Top Dollar!